But if cancer or other conditions are present, the normal behaviour of cells is altered and they appear to produce a different pattern of molecules - and a different signature smell. Their ultimate aim is to work out if different types of cancer produce different patterns - or signatures - which can be detected at an early stage. 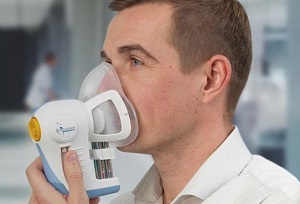 ny breath test used on large numbers of patients would have to be sensitive and accurate to avoid misdiagnoses and false positives.